Water resistant and safe from inclement weather and accidental spills. 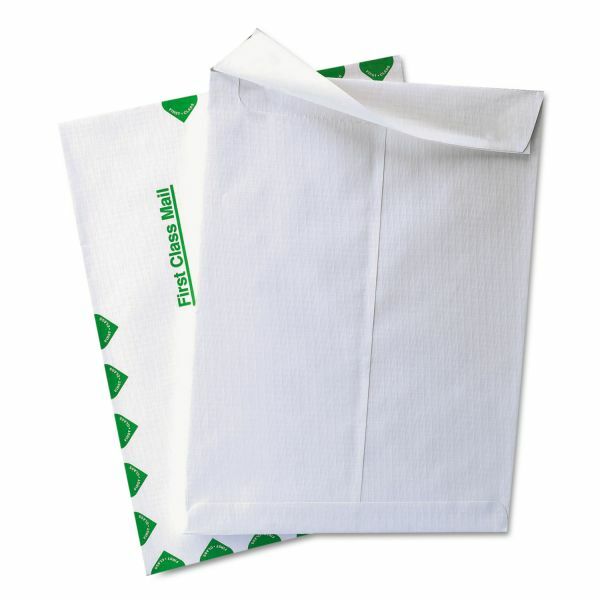 Large size accommodates multiple standard-size items. For extra peace of mind, each envelope is printed with official USPS detailing to signify priority shipping. No mess, no hassle closure thanks to the pull-away strip and self-sealing adhesive. 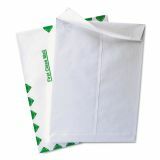 Quality Park Ship Lite Redi Flap Mailer, 1st Class, 9 x 12, White, 100/Box - First-class SHIP-lite Envelopes offer a reinforced, multilayered paper material for mailing and a moisture-resistant, water-resistant surface. Other features include a first-class border, convenient Flap-Stik self-adhesive closure and patented easy-opening release strip for quick, easy accessibility.